I feel like I am over the "hump" on this quilt. Sorry about the two posts in the one day. I'm just a little excited to see this one come together. Happy stitching and have a great day. I don't mind visiting twice in one day... in fact I LoVe it! No need to apologise...... I can see why you're excited. It looks gorgeous. 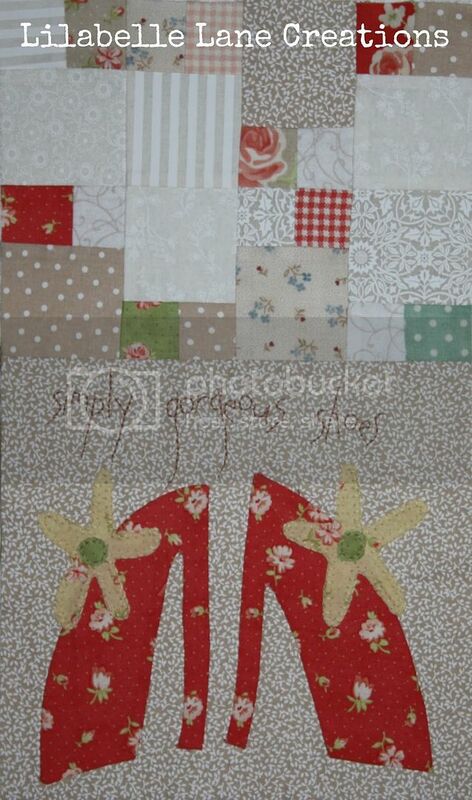 Did you know that Anni's new book has yet another beautiful quilt for you to make? they look great - beautifully done .... only one more strip to do now..... I'm very happy visiting twice a day too!! Wow, its just beautiful. Well done. 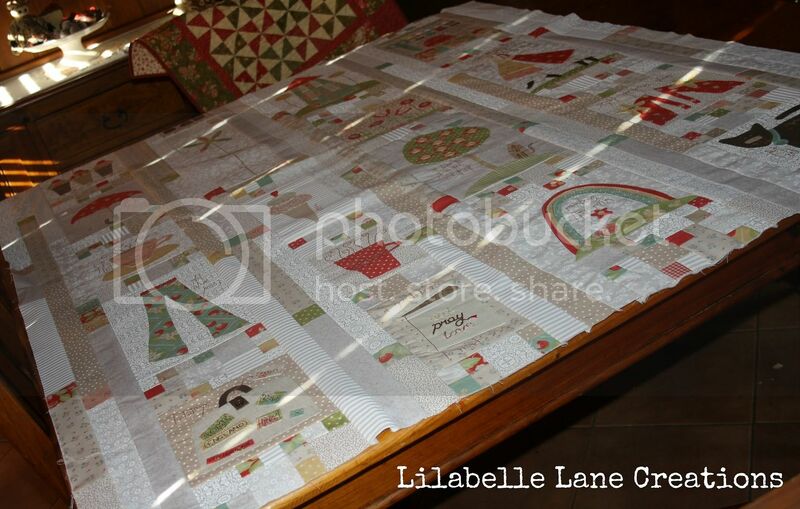 Lovely as usual,Sharon you do such beautiful work.All your quilts are Beautiful. We just don't get these lovely pattern in th UK.My daughter would love this one,being a big fan of shoes.haha. 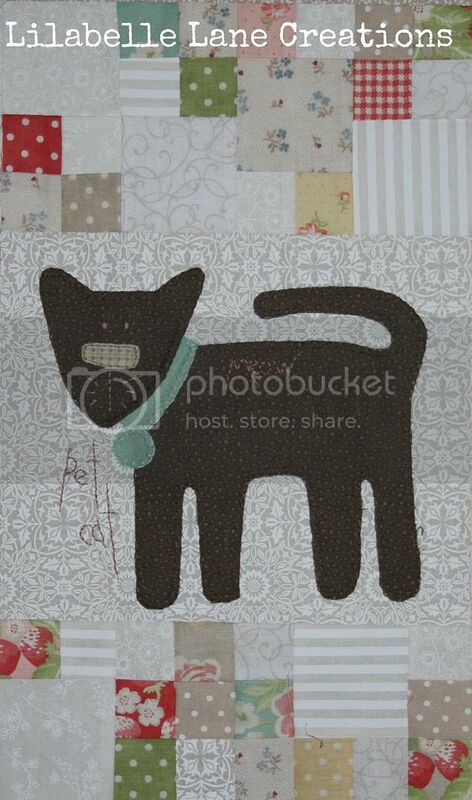 Your quilt is looking beautiful, love the cat appliqué! You do so well keeping up with all your projects. Oh my goodness, i love the SKOW, your colours are just gorgeous Sharon.